Tyler James Hilton (born November 22, 1983) is an American singer-songwriter and actor. Hilton began his professional career in music in 2000. Rolling Stone Magazine compared him to his contemporary, Howie Day, while others have compared Hilton to Elton John, both vocally and instrumentally. 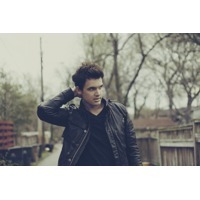 Since the release of his debut album, Hilton has ventured into acting, guest starring on The WB's One Tree Hill as the talented but somewhat arrogant Chris Keller, and playing the role of Elvis Presley in the Johnny Cash biopic Walk the Line. He also appeared in Taylor Swift's music video "Teardrops on My Guitar".